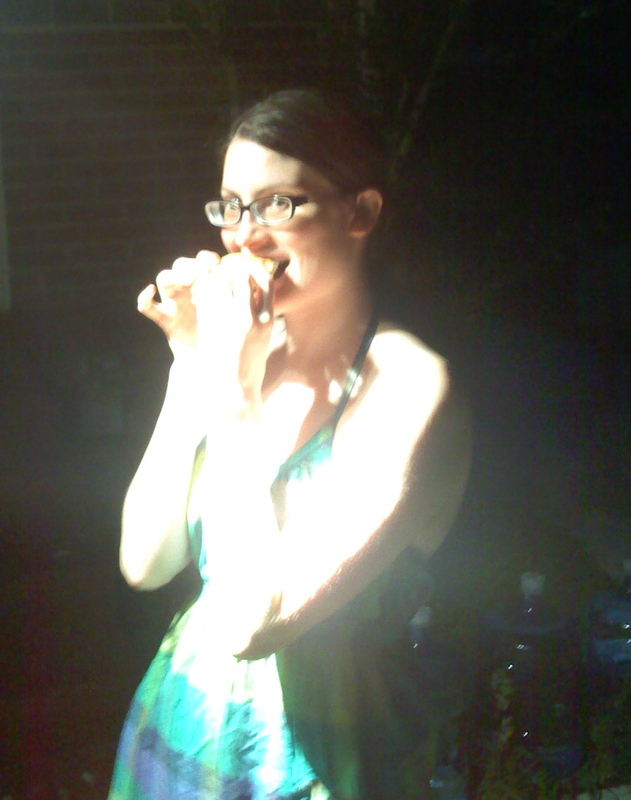 So my house had a going-away BBQ for my roommate Becky…and it was surprisingly easy to abstain for the meat. Dairy (damn you Veggie Plate with Ranch Dressing!) was another story, but I survived with the help of a few well-made vegan dips, and a great portobello mushroom..recipes below! This recipe is pretty simple–I think a food processor will give you a slightly chunkier salsa than a blender, but either works well. One Rule: Don’t be afraid of the jalapenos—I’ve never had a problem with the salsa being spicy—and that is with ALL the seeds from the jalapenos. This time i added in the hot chili, and still, relatively little spice. If you are concerned about it getting too spicy, you can reserve some of the seeds and add them in gradually at the end, testing for spice. Fresh ingredients are key, and make all the difference between the store-bought dip and this deliciousness. This one is easy, mix all the ingredients together and watch it be devoured by your guests! It’s a great compliment with the salsa recipe above! A Super easy recipe! 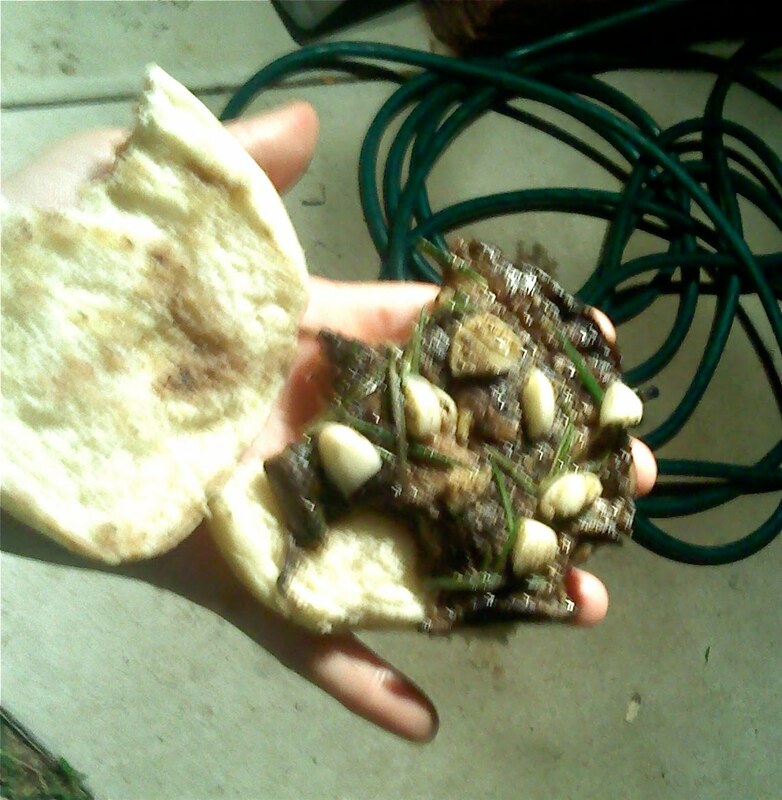 We scooped out the underside of the mushroom, thinly sliced some garlic and placed that on top with some fresh rosemary. Right before I added it to the grill, we drizzled olive oil on top and then threw it on for about 5 minutes until the mushroom was starting to get soft.